You think about why you have a three-day weekend. HUDSON FALLS —Fred Spiegel was asked if he felt resentment toward the Nazis. “Yes, to the Nazis, but not the Germans,” Spiegel said. 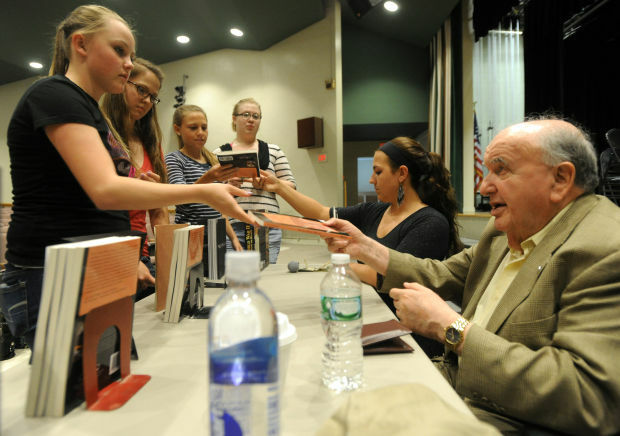 The question came from a student at Hudson Falls High School, at which Spiegel was invited Friday to discuss his life during the Holocaust. On April 13, 1945, a train traveled across Germany, carrying 2,500 Jews en route to a concentration camp. Spiegel was among them. He was 13. Spiegel, 81, visits schools to talk about how he survived. He brings copies of his book, “Once The Acacias Bloomed,” which explains his life as a Nazi prisoner. Most of the schools he visits are in New Jersey, where he lives. The farthest he travels is Hudson Falls, a school he visited a few times in recent years, a school he included in his book because it was here an important moment in his life occurred. During Friday’s presentation, Spiegel often said he was lucky to be alive. Other trains carrying Jewish prisoners made it to their destination. His did not. His train suddenly stopped near Magdeburg. Spiegel said the train’s engineer and Nazi soldiers fled for fear of capture. U.S. troops was cutting across Germany. Then, a few U.S. soldiers on tanks found the train and freed the captives. The soldiers included Carroll Walsh, of the 743rd Tank Battalion. Spiegel was later reunited with his family. 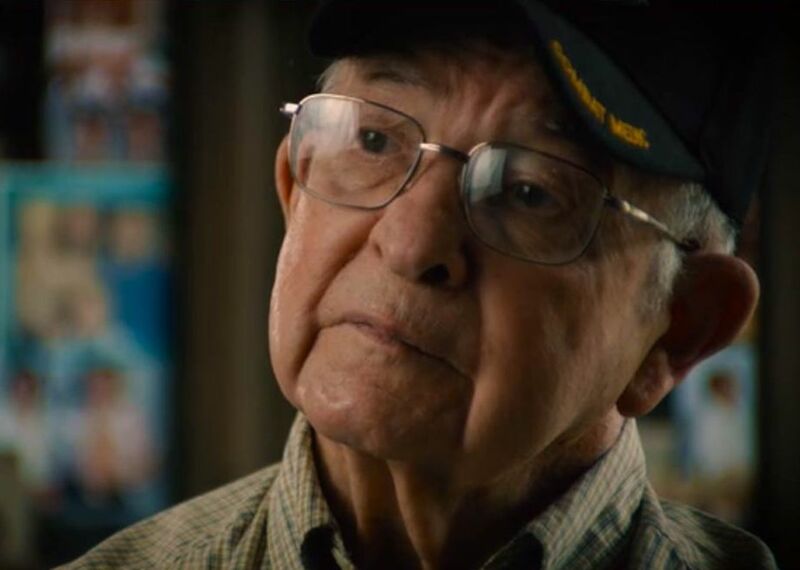 It was 65 years later when the unexpected happened: He was invited to Hudson Falls to meet others who were prisoners on the train. He also got to meet some of the liberators, including Walsh, who was living in Hudson Falls at the time. Matt Rozell, a Hudson Falls history teacher, organized the reunion. He met Walsh in 2001. He interviewed the former soldier, and learned about the train near Magdeburg. Walsh died in December. He was 91 and a former state judge. Spiegel, a native of Germany, said people have shown more interest in the Holocaust over the years. During Friday’s visit to Hudson Falls, he spoke to about 30 sophomores. Some of them had copies of Spiegel’s book. Others bought the book after the presentation. Armand Ryther, a student, approached Spiegel to shake his hand. “I find it very interesting that he could survive what he did,” Ryther said. Ryther said he read Spiegel’s book. Jamie Hughes, a fellow sophomore, said it was interesting to hear about Spiegel’s experiences. “I think it’s really amazing that he would want to share his experiences with everybody,” she said. Tara Sano, a Hudson Falls history teacher, said the event was planned near Memorial Day so students can reflect on the efforts of veterans. “My hope is that when you are taking your three-day weekend, you think about why you have a three-day weekend,” she told students at the start of the presentation. See Fred meet his liberator for the first time.